After a hard day’s skiing, I felt my kids and their friends deserved to sample some French candy. 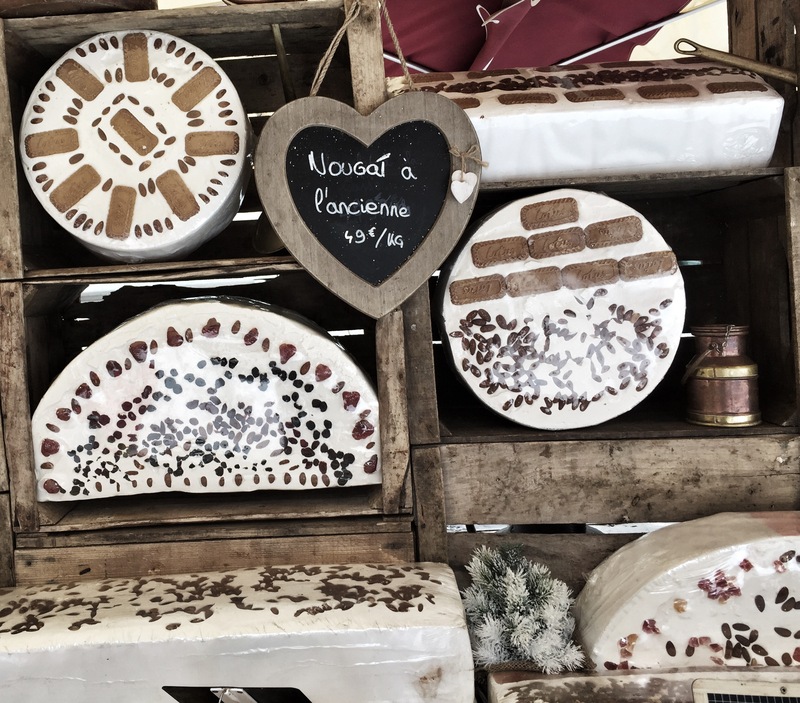 It also gave me an excuse to go to the Monday market at the French Alpine resort of Val d’Isere to check out the stands. 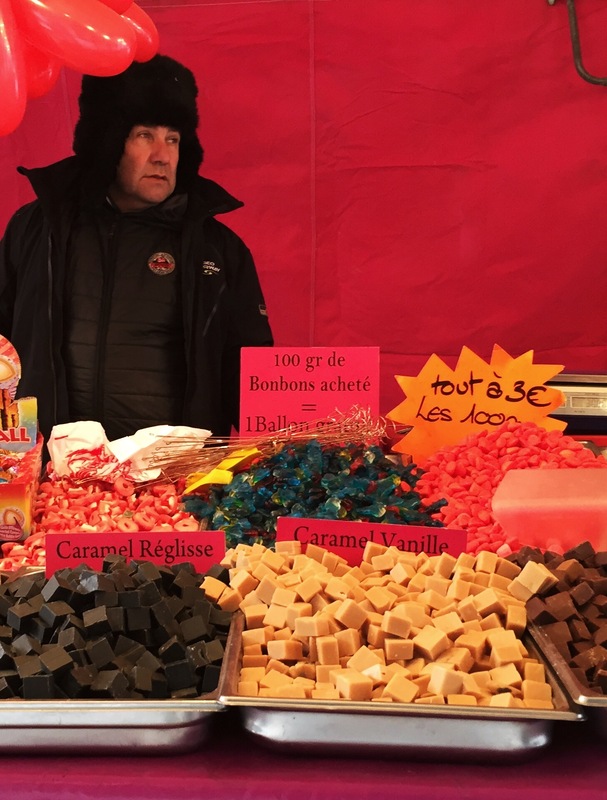 There were a handful of stands doing French candies, nougats, chocolate and assorted other bon bons. When you are at a small town ski resort, a local market would have to pass for cultural exploration. 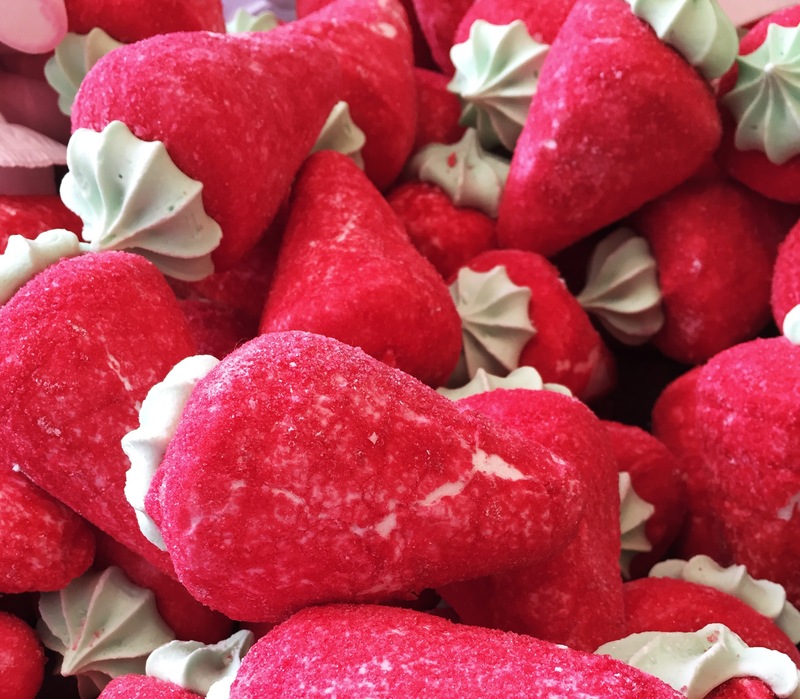 I thought these strawberry shaped marshmallows covered in red sugar were really pretty but they were huge! We could easily split one strawberry between 3 kids. In fact, we found them a little too big to eat. After all, you really want sweets that are small enough to pop in your mouth when no one is looking. 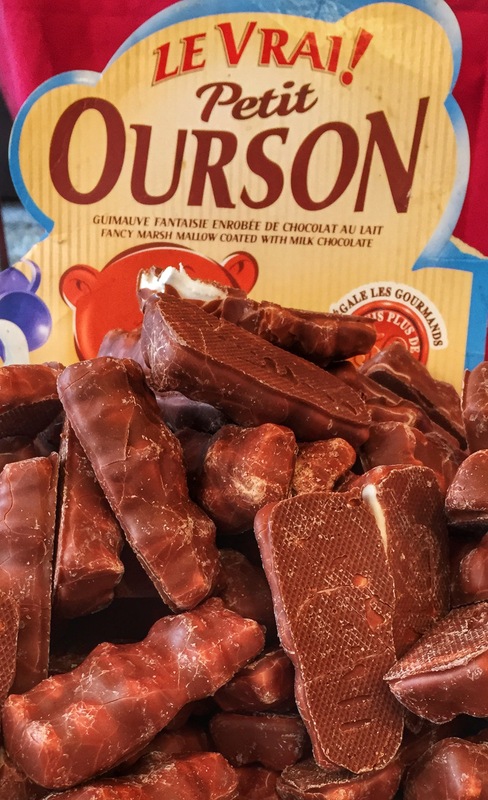 These ever-popular little bears called petit oursons are a French childhood tradition. They are chocolate-covered marshmallows and completely yummy. I am definitely a fan. 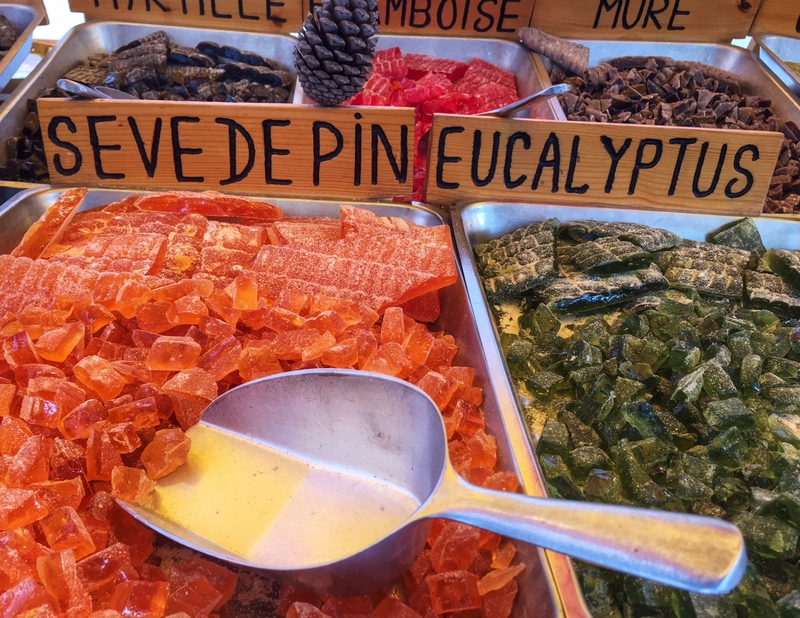 I found these hard French candies which the vendor told me was a Savoy specialty. They are hard candies infused with a variety of random flavours – genepy (a liquor made from wormwood), pine sap, aniseed, eucalyptus etc. I bought some for the adults in our group but everyone preferred the kiddy candy instead. There was also the usual gummy snacks and caramels. 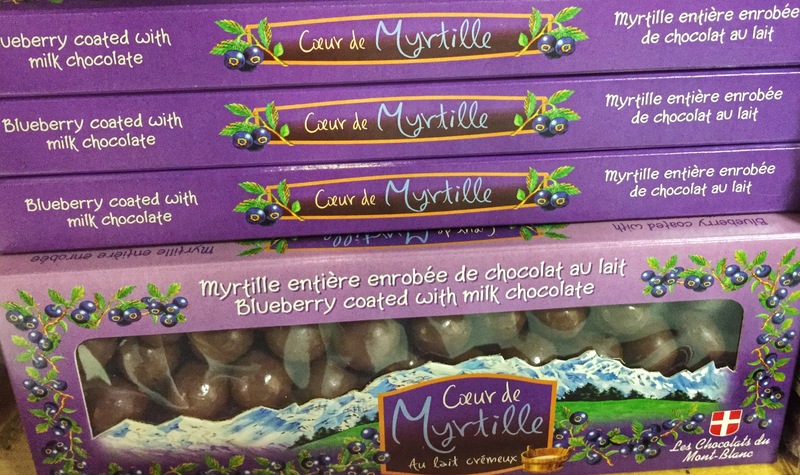 We bypassed those types of French candy because they didn’t look that new or different. The French really like their nougat. In fact, the word nougat comes from French. I didn’t know there were so many different types of nougat which vary in composition and chewiness. Real nougat is supposed to be made from sugar but the nougat we Americans know from our candy bars (e.g., Snickers) is made from fructose and corn syrup. After the market, we also had time to check out the local supermarket. 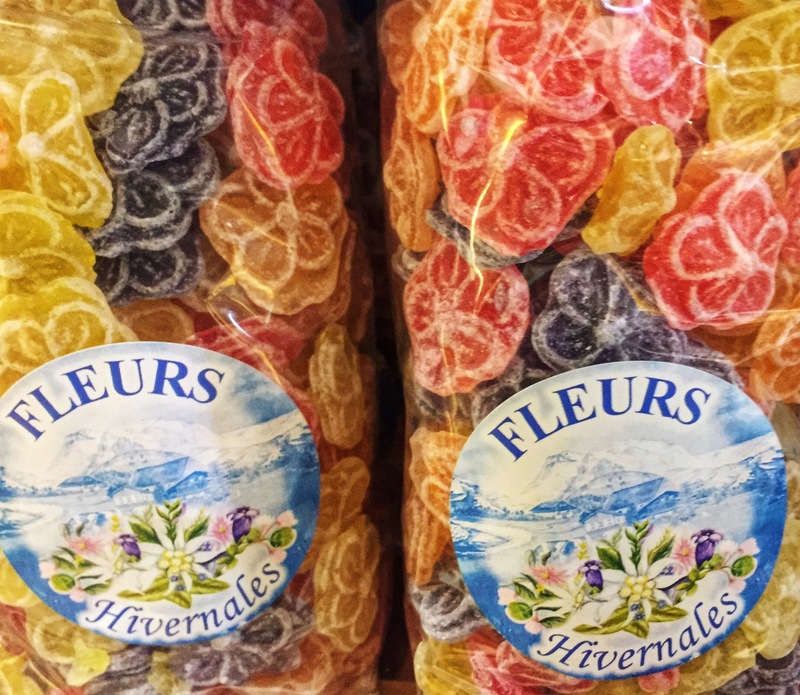 How pretty are these flower-shaped hard candies? 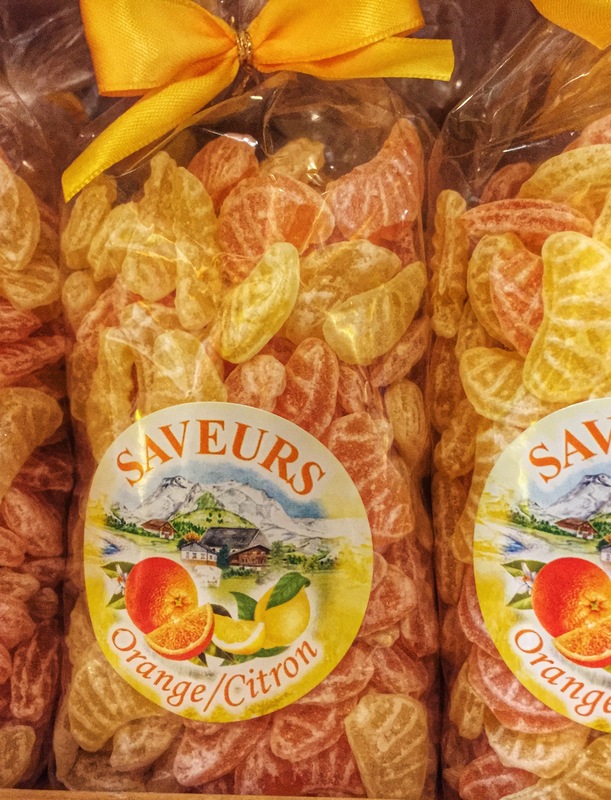 The orange flavoured version of the candies are shaped like little slices of fruit. 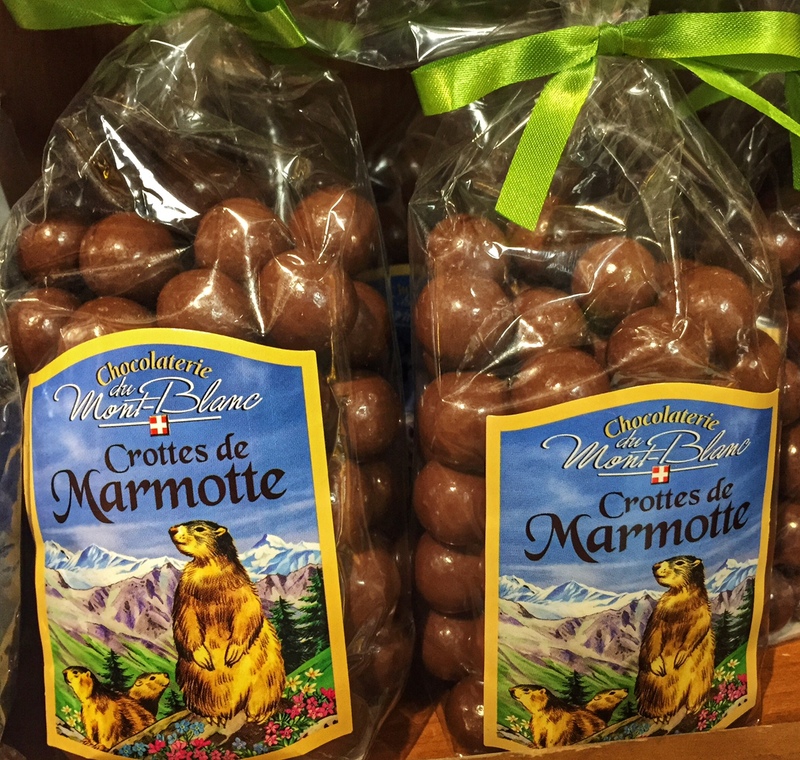 I had to get these chocolate covered biscuit ball-shaped candy called Crottes de Marmotte because they would really amuse the children. Marmots are large squirrels that live in the mountains and Crottes de Marmotte translates into Marmot droppings. They taste a bit like Maltesers but the biscuit bit inside is crunchier. 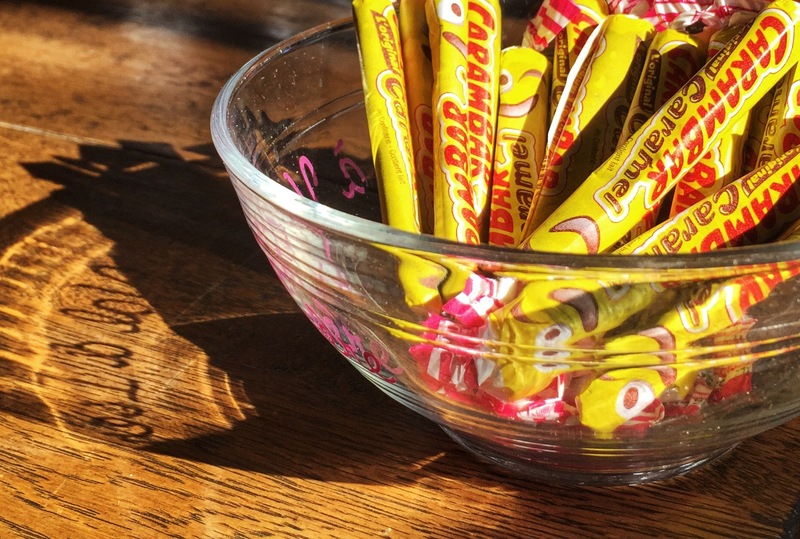 Carambars are another favourite of French children. Our children didn’t like them as much as the marshmallow bears. They are the hard, chewy, sticky-teeth type of caramel candy that dentists abhor. I also discovered chocolate-covered blueberries which were more popular with the adults than the random Savoy hard candy I had bought earlier. Our venture into exploring French culture through sampling French candy was on the whole successful. As the kids would say in their fairly limited French, Les bon bons were tres bons.